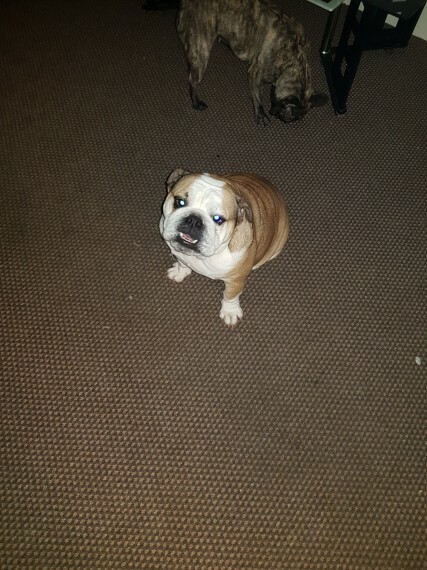 We have an amazing litter of english bulldogs available who have had 24/7 round the clock care for been raised in a family home around kids and other dogs. Dam to these pupps is my family pet lulu who is huu clear and from champ lines. Sire to these pupps is the amazing bruce son of maxuims also huu clear and from champ bloodlines. We have 1 boy and 1 girl available alot of time and thought have gone into this breeding to produce healthy quality pupps. All pupps will come kc registerd microchiped first injection vet checked and wormed up to date 2 4 6 and 8 weeks old.